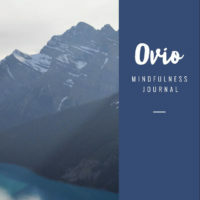 In this beautiful 68 page downloadable journal Cheryl has demystified mindfulness and explained it in simple, sticky and secular terms. It is to be used to complement the Ovio beginners course. The exercises, journaling prompts, and easy to follow explanations help you integrate mindfulness into your everyday life.